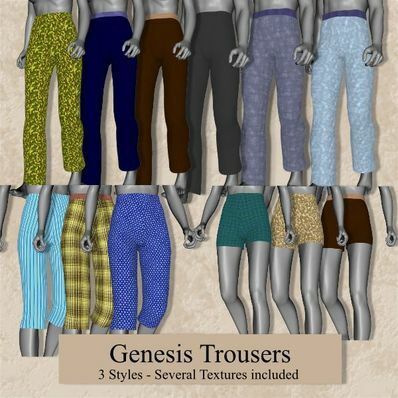 Trousers Genesis for use in Daz Studio 4. Three styles, shorts, Knee length and full length trousers. Will work with most poses and shapes. Thanks Wendy. A GREAT selection of trousers. Thank you so much for the various lengths and textures. Great work as always.